will be called Speedback - a name which reflects the elegant yet purposeful lines of the V8 powered sports coupe. Speedback will remain at the venue in London over the weekend for viewing and will then travel to Monaco to be shown publicly for the first time at the exclusive Top Marques Show, which runs at the Grimaldi Forum from April 17-20, 2014. The car will be on display on stand F3 and the full team will be available to discuss the car, its specifications and to take orders during the event. "The launch of Speedback is the realisation of a dream for me, and is the result of skilful and dedicated work by a team of highly talented designers, engineers and craftsmen. I am delighted at the reaction of the media, our suppliers, potential customers and friends, and I look forward to presenting the car to the public in Monaco. The Speedback name perfectly reflects the classic sports car tradition of the past, whilst also doing justice to the sophisticated silhouette of the car's hand-built body and unique styling which features amongst much other detail, a fold-down picnic seat," said David Brown, Company Founder and CEO. The car revealed is the result of 18 months of hard work by the David Brown Automotive team, including highly-experienced Chief Designer, Alan Mobberley. The car, which has been engineered and handcrafted in Coventry, proudly uses traditional British materials and craftsmanship. Speedback promises exceptional performance and handling from the latest Jaguar 5-litre supercharged engine. 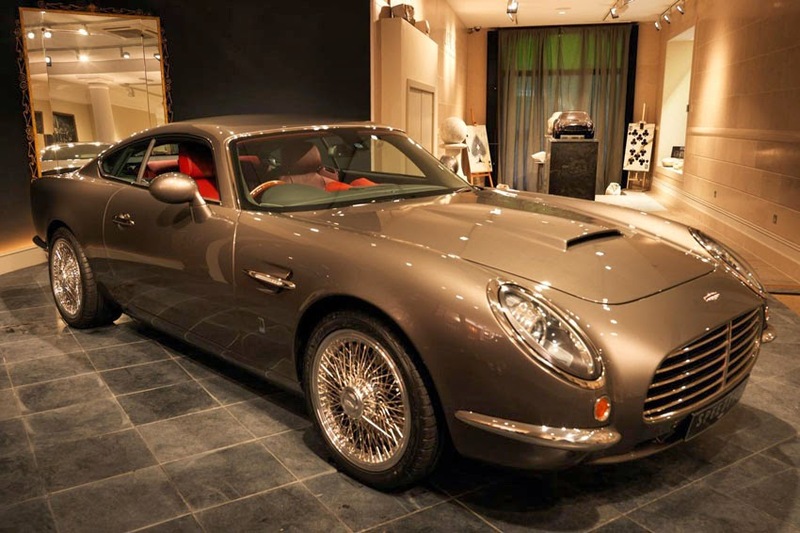 Customers of Speedback are able to request any level of tuning or engine enhancements they desire. "This car will appeal to anybody who desires a truly individual sports car, which can boast a fine British pedigree and which will only be produced in limited numbers, thus ensuring the kind of exclusivity associated with Britain's once proud heritage of traditional, high-quality, automotive coach-building", added David.